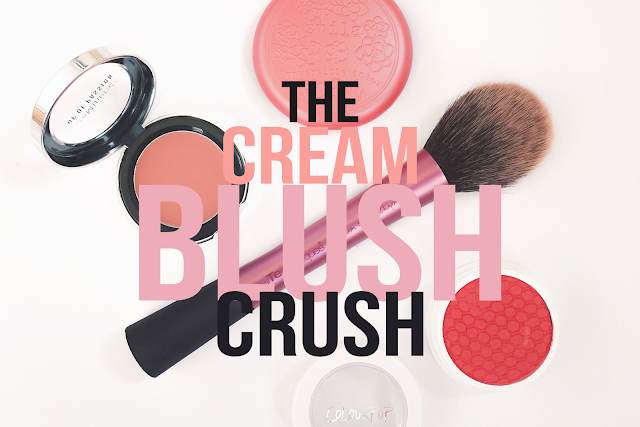 Cream Blush and I are having a bit of a moment. I've always been a powder finish kind of girl but my new found love for dewy natural looking skin has completely changed my relationship with the product. When bareMinerals kindly sent over one of their limited edition Blush Balms from the new Pop of Passion collection (which is fantastic by the way, expect another blog post very, very soon) I thought I might as well give cream blush another chance and I'm so thrilled that I did! My Blush Balm has sparked a cream blush obsession and when I pair it with my favourite lightweight base and liquid highlighter (which, if you were wondering, is Complexion Rescue and Becca's Shimmering Skin Perfector Spotlight Kit) I can finally achieve that perfect lightweight, healthy glowing base I've been striving for this summer! 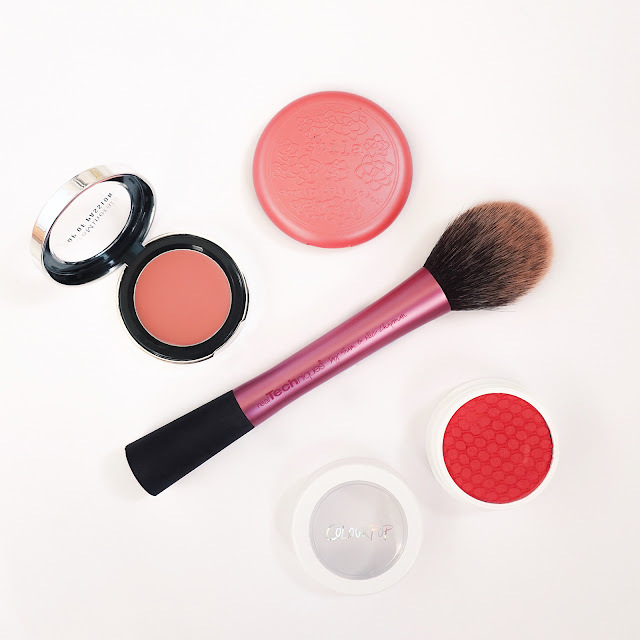 My bareMinerals Blush Balm is, by far, my absolute favourite of the three cream blushes I'm featuring today and in all honesty it's probably my favourite cream blush that I've ever used... yup, ever. That's a pretty bold claim! Unsurprisingly, it's hardly left my cheeks since I was sent this and I instantly knew that it was going to be part of my graduation makeup from the second I tried it. I have Posy Passion*, a beautiful English Rose shade which is slightly lighter and more pink than the colour in my photograph. The reason I adore this blush so much is due its texture as it's much more silky than your average cream blush. It literally glides onto your fingers and across your cheeks and, as the name suggests, it is much more similar to a balm than a thicker cream product. Due to its consistency it adds a gorgeous glow to the cheeks and it even feels moisturising on my skin (something the next blush definitely doesn't do). The product is semi-sheer: one layer provides a lovely natural flush of colour which I find is perfect for everyday wear yet it is so easy to build up the colour. For evenings or special occasions I amp up the intensity and apply 3 thin layers. Despite the extra layers you'll be pleased to know that the glowing, luminous effect doesn't increase to an unnatural finish. It still looks beautiful on the skin and after a few hours wear it still remains intact, with the dewy glow only fading slightly. I'm beyond devastated that these blushes are limited edition and I know I'm going to have to pick up at least one more shade before they disappear from the shelves. The Pop of Passion Blush Balms retail for £20.00 each and they're available online and in stores in 3 shades (Posy, Papaya and Natural). 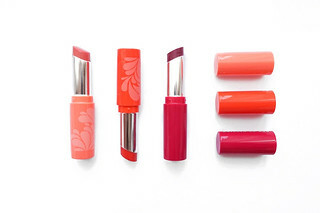 QVC also sell an additional two shades (Guava and Mauve) that are even more exclusive so if you're a regular QVC shopper you should definitely check them out! I wish ColourPop was easier to get hold of in the UK! I actually received this ColourPop Super Shock Blush from the lovely Japanese blogger Sakura in our recent beauty swap and I've been a very bad blogger and used everything to death before creating a post about it! Luckily, I managed to snap a few pictures of Clutch before destroying the lovely pattern imprinted on the product and I can assure you that it no longer looks so untouched anymore. I have to admit, when I first opened this I was a little bit nervous to use this. Just look at how intense the watermelon pink/red shade is! Thankfully, the colour isn't quite as bold if you use this lightly and once blended it leaves a pretty flush of colour to the cheeks. 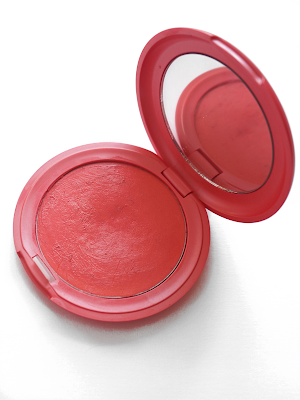 The texture of the blush is the strangest element to the product. It's not quite cream, not quite powder and when you touch the product it's actually squishy and leaves an indent on the surface. The only similar product I can think of to this is the Bouncy Blushes from Maybelline that were released a few years ago! The best feature of this blush is that it literally does not budge. You have to be pretty quick when blending this and admittedly it's not the easiest of blushes to actually blend but once it's on the cheeks it will not be moved. So, whether you're constantly taking your jumper on and off, feeling a little bit sweaty or just fancy rubbing your face it will stay in place. I actually decided to really test a swatch of this and despite my best attempts to smudge this with my hands I kid you not it didn't transfer or move. If I want my blush to stay in place all day I automatically reach for this and it's definitely worth spending an extra few minutes blending it into the skin. Clutch is one of the Matte finish blushes and ColourPop also offer Satin and Pearlised finishes too. For $8 the quality is incredible and if you're lucky enough to have access to ColourPop I thoroughly recommend you try their Super Shock blushes. If I can get my hands on some more I really want to try Mochi and Boba! 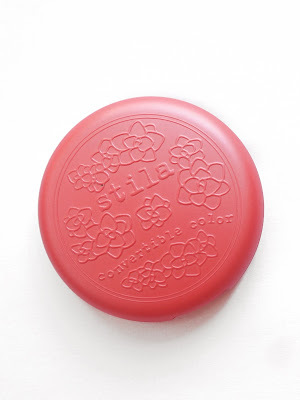 I remember picking up this Convertible Color from Stila a few years ago in TK Maxx, mainly drawn in by the pretty packaging and the bright rosy pink shade, and I've never really paid much attention to it since. Due to its 2-in-1 nature I've used this on my lips a lot in the past but I was never a huge fan of using it on my cheeks as I always applied it over my mineral foundation from bareMinerals and the two really didn't work well together. Since I've switched to liquid bases I've completely fallen in love with the formula of the Convertible Colors. I would say this is a thicker, creamier version of the Blush Balm from bareMinerals as they both leave quite a luminous radiance to the cheeks which you wouldn't expect when you look at it in the pan. Petunia is extremely pigmented so a tiny amount of product is needed and my favourite way to apply this is with my fingers, delicately focusing on the apples of my cheeks. At first, the Convertible Color does feel a little sticky on the skin which did take me some time to get used to. The key with this product is not to apply too much to the cheeks and blend thoroughly to achieve a natural flush of colour and a dewy, not sticky, finish. The product blends really easily and thankfully doesn't go patchy throughout the day and the mirror makes it a perfect addition to your handbag. Stila has made such a gorgeous product for only £16 and I currently have my eye on the shade Lillium which I think will be lovely for Autumn! 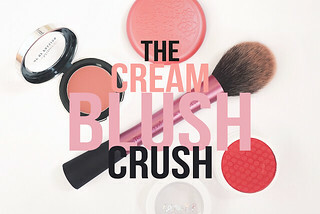 Are you a fan of Cream Blush? If you are, make sure to leave your recommendations in the comments below! 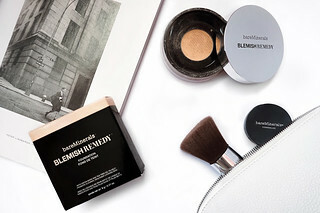 *This post contains a PR Sample from bareMinerals.